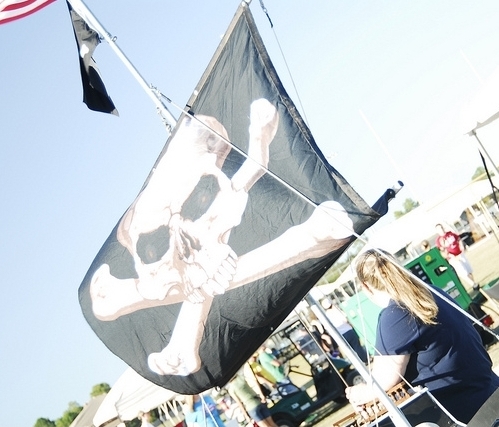 2012 Events for the Fernandina Pirates Club | Fernandina Pirates Club, Inc. 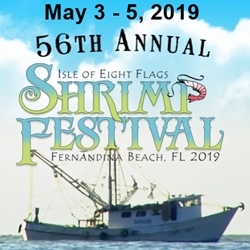 The Fernandina Pirates Club, Inc. has been challenged by a rogue band of Pirates from Sanford, Florida, and they are out for blood, literally. While the Fernandina Pirates finished 2nd to the Jacksonville Jaguars in the district last year for the number of useable pints donated to the Georgia Florida Blood Alliance, the BE Orlando Pint Club has begun its mission to compete with them for blood donations in 2012. 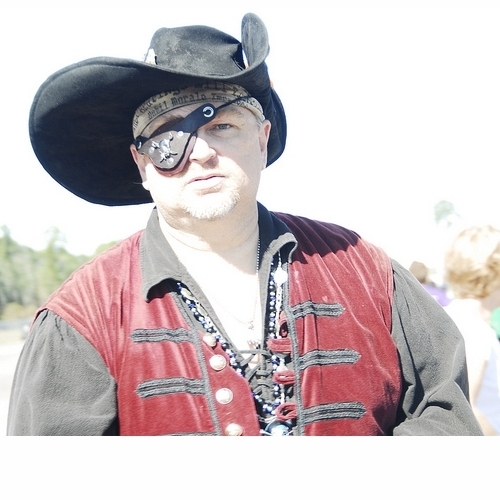 Saturday, February 18, 2012, the Pirates will have four buses from the Blood Alliance in the Publix parking lot on Sadler Road. Wicked Wanda, the club’s Blood Drive Chairperson has also arranged to have another bus stationed in St. Mary’s, Georgia for the Chili Cook-Off in which the Pirates took respectable honors in 2011. 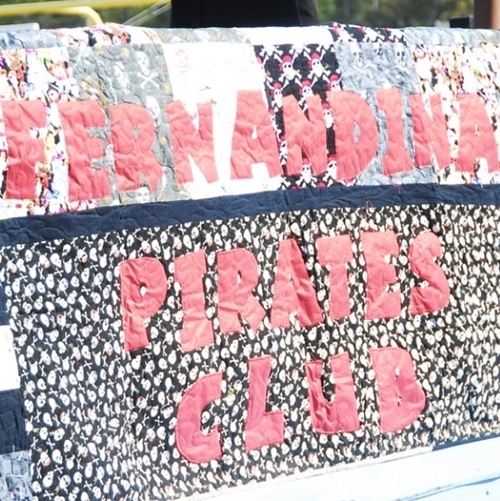 The Fernandina Pirates Club supports many different community charities including their own Pirate Scholarship program, Pirates on the Run, Katie’s Ride for Life, the Last Leg Rally, Road Scholar at the Amelia Island Museum of History and the Isle of Eight Flags Shrimp Festival, just to mention a few. 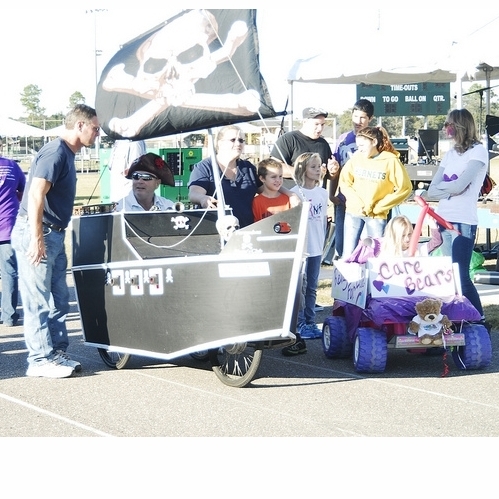 The Fernandina Pirates Club has over 80 volunteers that have been bringing smiles to the young and the young at heart by providing charitable assistance to members and groups within NE Florida for several years, including a Pirate Invasion and Ice Cream Social for the Council on Aging of Nassau County on Talk Like a Pirate Day. 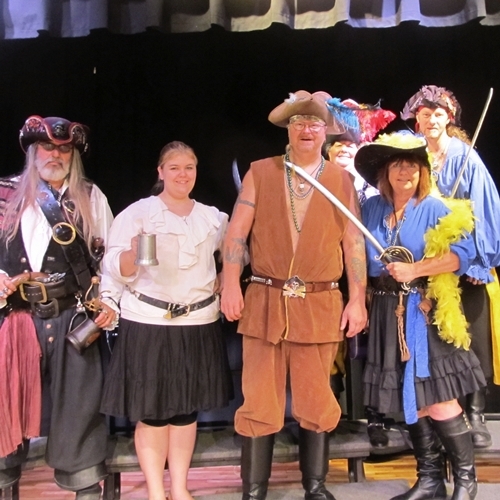 “Bring it on Orlando,” said Fernandina Pirate Wanda Hair, “We are ready for the challenge! 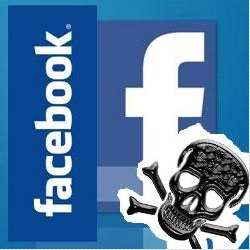 The Fernandina Pirates are indeed OUT FOR BLOOD in 2012!” Blood is imperative for all types of operations, accident victims, acute burn victims, cancer patients (ex. Leukemia), and for those with catastrophic diseases such as hemophilia. Blood can not be manufactured and is only available when needed if someone donates it. One hour or less of your time can save up to three lives. Having received a Resolution from the Board of County Commissioners of Nassau County as well as a Proclamation from the City of Fernandina Beach Commissioners recognizing the club for their ongoing community service and charitable work, members of the Pirates Club truly are our community’s “Goodwill Ambassadors to the World” as designated by both local government entities. 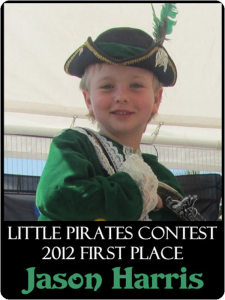 The young Pirate lad, Jason, won first place in the Little Pirates Contest 2012. Jason came to Fernandina Beach in March when tornadoes swept across Southern Indiana and destroyed his school in Henryville. 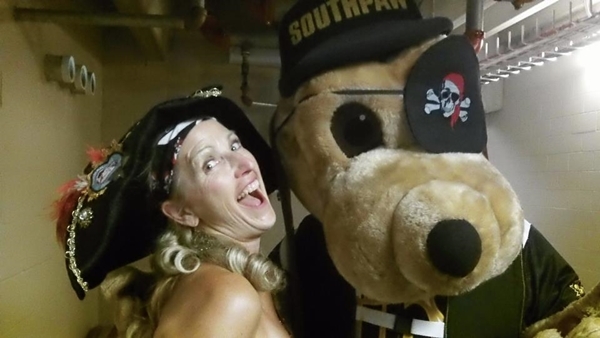 Rather than being bused to another county for the remainder of the school year, Jason came to Amelia Island to live with his grandparents, who just happen to be Pirate Club Members, and finish the first grade at Southside Elementary School (who of course, have the mascot of “Pirates”). When Jason visits his grandparents each summer, he loves to dress up and play Pirate! Jason wants to grow up and become a Pilot, but it sure sounds like Pirate to me! 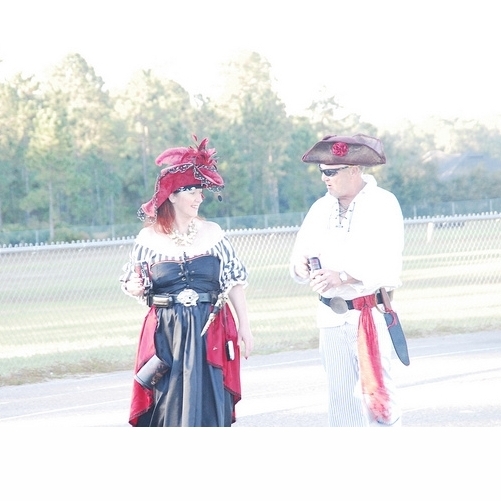 The Fernandina Pirates Club, Inc. members are out for blood, literally. 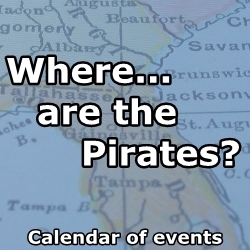 You may remember the Fernandina Pirates finished 2nd to the Jacksonville Jaguars in the district last year for the number of useable pints donated to the Georgia Florida Blood Alliance, and this year these Pirates want to win! 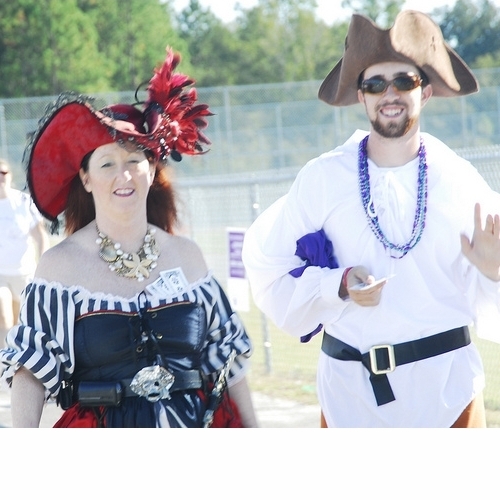 Saturday, August 25, 2012, the Pirates will have buses from the Blood Alliance in the Publix parking lot on Sadler Road, from 9:00 AM to 3:00 PM. 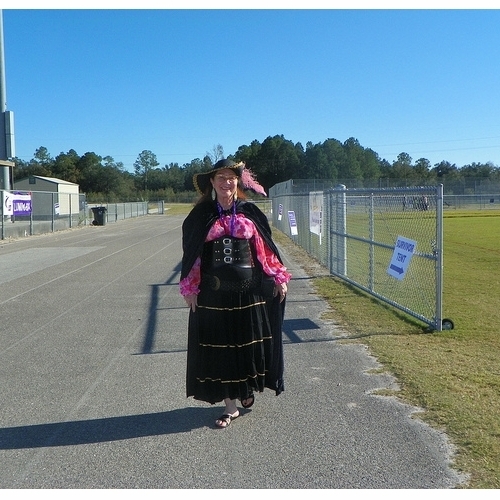 Wicked Wanda, the club’s Blood Drive Chairperson has pillaged and plundered to find some of the hottest tickets in town. The Sons of the American Legion Squadron 54 and the VFW Post 4351 Men’s Auxiliary will be providing melon slices, hot dogs and drinks for the first 100 donors. Walk ups are always welcome, but appointments can be made at IGiveBlood.com until the 24th of August. 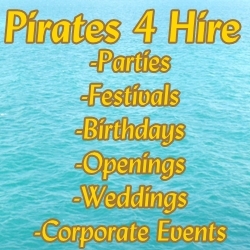 Fernandina Beach High School is a “Cool School” as designated by WJXT Channel 4, a television station in Jacksonville, Florida… and of course, their mascots are the PIRATES!!! It is always fun when we have the opportunity to help motivate the youth in our community! The Pirates Club receives the names of families from the Nassau County Child Advocate Rapid Response Team for Thanksgiving and Christmas to help provide some holiday cheers to families that might not have the means to create a traditional family celebration. Groceries for Thanksgiving dinners are purchased and distributed including the turkey, stuffing, rolls, cranberry sauce, gravy, yams and more. 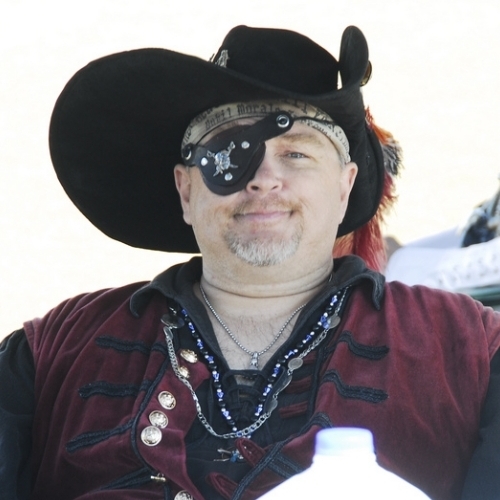 Often our thrifty Pirates manage to pick up some other, much needed supplies like bathroom tissue, napkins, Kleenex, laundry and dish detergent, cleaning supplies and cookies. Christmas gifts are chosen based on wish lists and we always try to pick up special treats like stuffed stockings or a bag of fruit or candies. One of our signature treats at Christmas is to included a bag of bows so the care-givers can participate, too. Many of the funds for this event are donated by club members in a simple “passing of the hat” done during an autumn club meeting.